Sauce? Or you are just making assumptions based on this wasteland of a forum? Knowing LM, I can totally believe that the problem could be at their end, and they're like "we'll fix it... someday... in P3Dv6... maybe". TFDi can probably rework the 717, and implement some sort of a "hack" to temporarily solve this (with a usual risk of breaking something else). But if LM will suddenly decide to fix this in 4.5 or 4.6, it will require yet another rework from TFDi. This is kinda understandable. What I cannot understand, is why TFDi is so passive about this? If this is indeed LM's fault, then give us more technical details, so we can press LM with facts on their own forums. 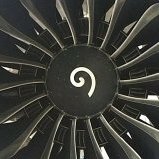 Or, if you are unsure on who's to blame, create a debug tool (like QualityWings did for their 787) and collect all the data you want from those affected by CDTs. "We cannot reproduce it" is not an answer. I'm having the same problem. I've been using TrueGlass and RealLight before this update, but after 1.1.1.0 and 1.1.1.1 TrueGlass is gone. RealLight apparently works tho. What "colors", are you guys crazy? Opening not just any window, but an external camera. Because I've got CTD right after creating a second cockpit view. Where in the paintkit is the rear bottom antenna?! This is not what he meant. Not even close. Ah, sorry. I have no idea how to load a saved persistence state either. States aren't in the FMC - they're in Tablet. Not much to add to the title. When I change the "auto-lock" timer in tablet, it resets back to 1 minute on a next load. I think it behaves like this since the introduction of this feature back in the OPB days. During this time I reinstalled the plane and P3D multiple times from scratch, it hasn't helped. I'm using the default "Cold & Dark" state with persistence mode disabled. My AA is "cheap" - 4xMSAA with FXAA disabled. But I think you misunderstood my message. Performance loss from dynamic lights is expected on any hardware in any circumstances. I can get 30+ smooth fps at night with the PMDG 737 + DL + complex scenery + heavy weather. But with the 717 I can only get less than a 30 choppy fps in any case (even at day, in stock airport, with clear skies and no other addons/mods). Fps counter may show 20-30, but it feels like 10-15. Another observation. In external view, when the plane is in the "cold&dark" state, I'm having ~80 smooth fps. But when I select "ready to fly" state, it immediately drops to ~40 fps. Since my initial purchase of v1.0.9.19 half a year ago, I'm experiencing a relatively poor performance with the 717 (compared to many other planes I own). This continues with the v1.1.0. Recently I upgraded from P3D v4.1 to the latest v4.3. It was a complete reinstall - I removed every trace of 4.1. Also updated my GPU driver to the latest available version. This time I tested 717 without any other addons or tweaks - 100% pure and clean simulator. Well, turns out there is no difference between the clean v4.3 and my heavily modded v4.1. I have 20-30 fps in the cockpit at daytime, but it feels more like 10 fps. My GPU usage is constantly at 100%. External views are fine (~80 fps in cold&dark, ~40fps in "ready to fly" state). 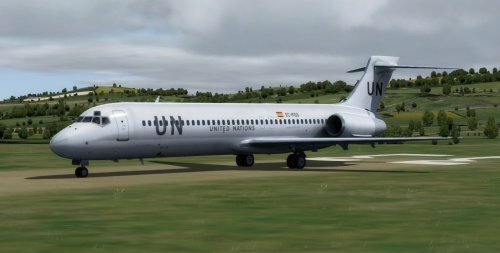 The 717 v1.1.0 also performs good in FSX:SE. I can gain back an expectable amount of fps by disabling TrueGlass/RealLights (+2-4) and P3D's dynamic lights (+10-15), and also by switching to low-res displays and 1K cockpit textures. Switching between hardware and software rendering for displays has no visible effect. All in all it doesn't change the sad fact that the plane is genuinely slow on my system, and I don't enjoy flying it in this state. I understand that at this point it's impossible for TFDi to optimize the 717 any further, and that there might be something wrong with my system, so it doesn't play nicely with this particular aircraft. So I'll just leave this ticket here until the next major update (whenever this happens) or until I upgrade my rig.